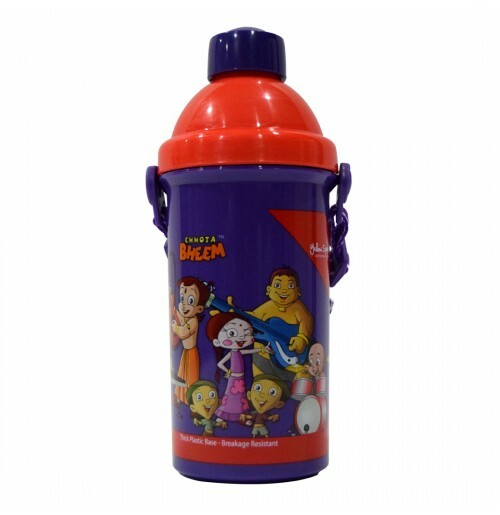 Chhota Bheem water bottle with pull cap opening is easy for children to open and is made of durable material. 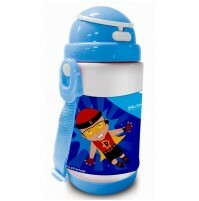 This water bottle is easy to carry to school, picnics, outdoor activities etc. 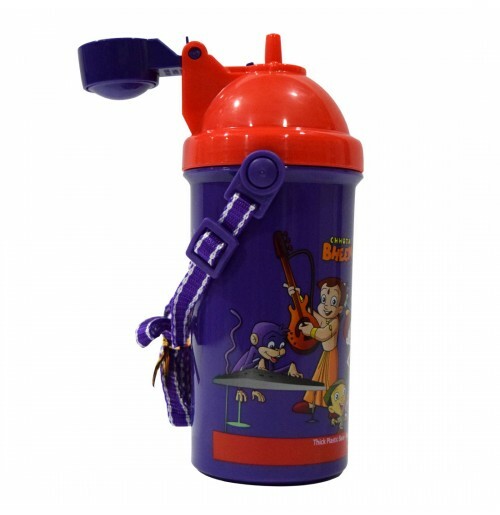 This water bottle features adjustable straps which makes it easy for little hands to drink and hold the bottle comfortably. 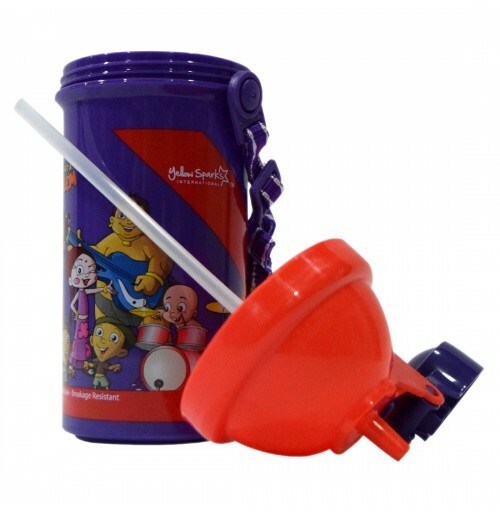 It has a thick plastic base and breakage resistant.